The little lander that could has done it again! 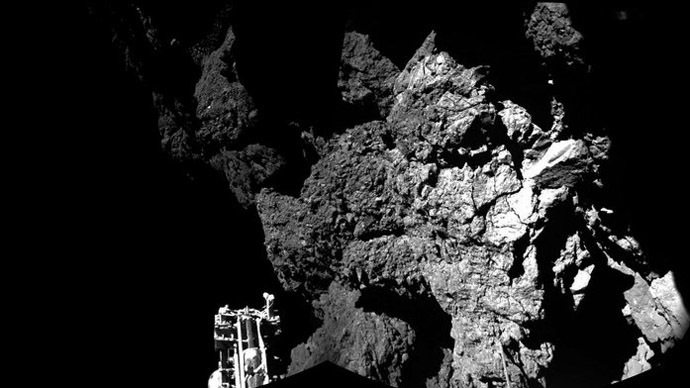 Surfing on the distant comet 67P, Philae managed to dispatch one more stream of key scientific data before its depleted battery put it on standby. 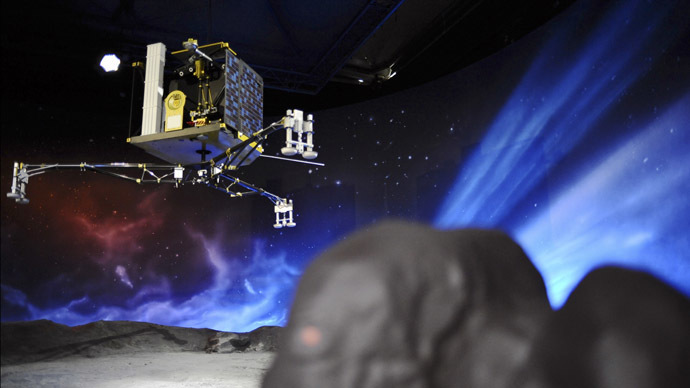 “It has been a huge success, the whole team is delighted,” said Stephan Ulamec, a lander manager who has been monitoring Philae’s progress from the European Space Agency’s (ESA) Space Operations Center in Darmstadt, Germany. “Despite the unplanned series of three touchdowns, all of our instruments could be operated and now it’s time to see what we’ve got,” he said, regarding the last minute dash to get more data home before the lander went into standby mode. With 64 hours of battery power, Philae has a limited window to surf the comet, study its surface, and find out what happens as it approaches the sun. Using a drill to dig into the comet’s surface, the lander then conducted experiments on the sample, beaming the data back to earth. Due to their unique structure, comets can preserve the composition of the ingredients out of which the entire solar system formed. Studying a sample from 67P/Churyumov-Gerasimenko, will not only provide greater insight into our neck of the galaxy, but it could also reveal the secrets behind the emergence of life. 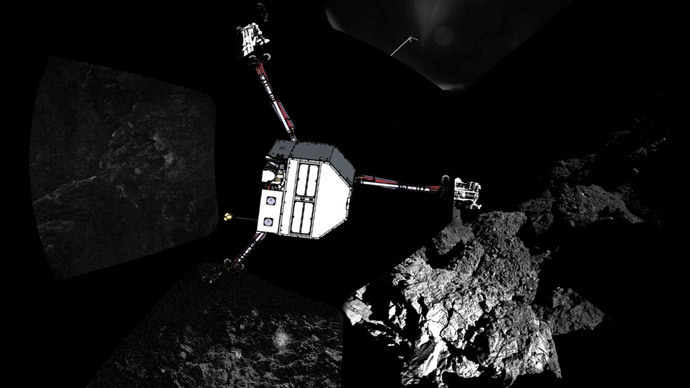 On Friday, the ESA lost touch with Philae for roughly 10 hours. 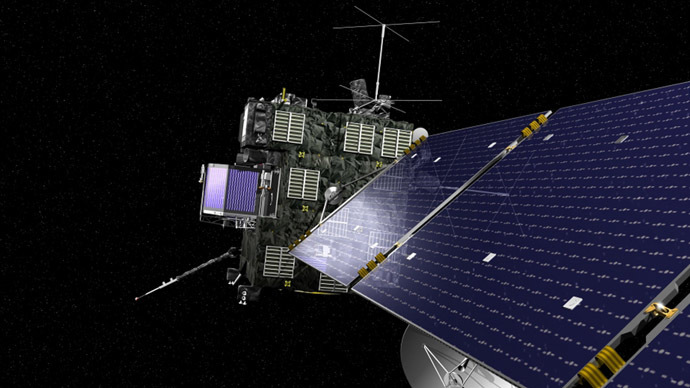 At 22:19 GMT, the Rosetta team regained contact. Although the signal was shaky at first, it stabilized, giving them over two hours to get as much done as possible. Apart from returning all its housekeeping data, along with scientific data from its targeted instruments, the ESA team also managed to lift the lander four centimeters. They further rotated Philae 35 degrees in a bid to maximize the amount of sunlight its solar panels soak up. "Everything went exactly as scheduled," mission scientist Jean-Pierre Bibring told AFP. When Philae first touched down on Wednesday, the 220-pound probe bounced on landing, sending it up to a kilometer away from its targeted site. With its solar panels resting in the shadows of a nearby cliff face, it was only getting 1.5 hours of sunlight a day rather than the optimal 6 or 7, leaving the probe dependent on less than 3 days of battery power. The lift and rotation was an attempt to get one of Philae’s larger solar panels a bit closer to the sun, with hopes that they will one day get it to wake up and communicate again. The next chance to re-establish contact between Philae and the orbiting Rosetta satellite – which delivered it to the comet – came at 11:00 GMT on Saturday. With the comets 12-hour orbit round the Sun and the limited window to absorb sunlight, the scientists were doubtful its batteries would have been charged enough to complete a radio link. Future chances to charge its batteries could come as the comet passes by the sun. 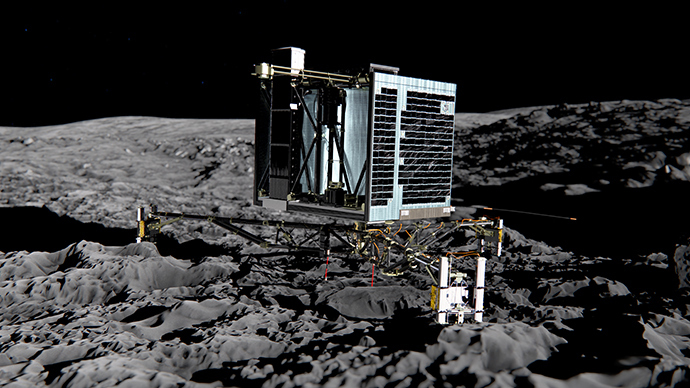 Just how long Philae can remain operational under its current conditions is uncertain. Even so, the team is completely satisfied with the mission that could prove revolutionary. "At the end of this amazing rollercoaster week, we look back on a successful first-ever soft-landing on a comet,” Fred Jansen, ESA’s Rosetta mission manager, said.